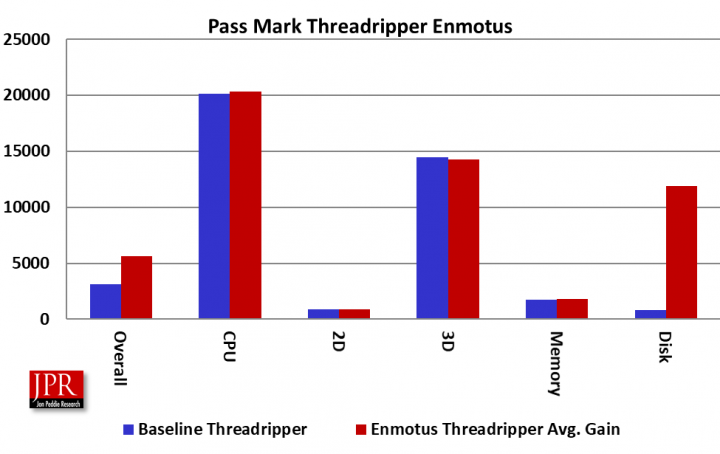 Enmotus, as you will recall, has designed some clever storage-blending coupled with machine learning to make frequently used applications and files first to load, and run. Is that important? And if it is, can you measure it, can you prove it? 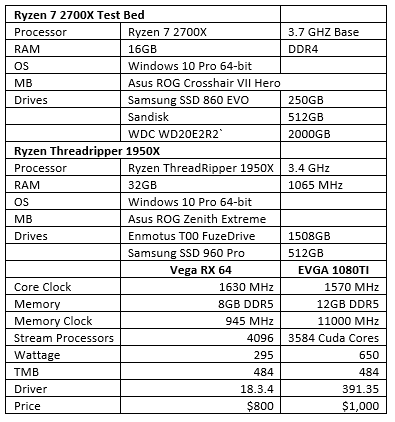 We took an AMD Threadripper with an EVGA 1080Ti, and ran some tests on it, and to be fair, we ran the same tests on the new, second generation Ryzen, the Ryzen 7 2700X with a Vega64. We choose the Ryzen 7 2700x because AMD is providing the Enmotus software for free. 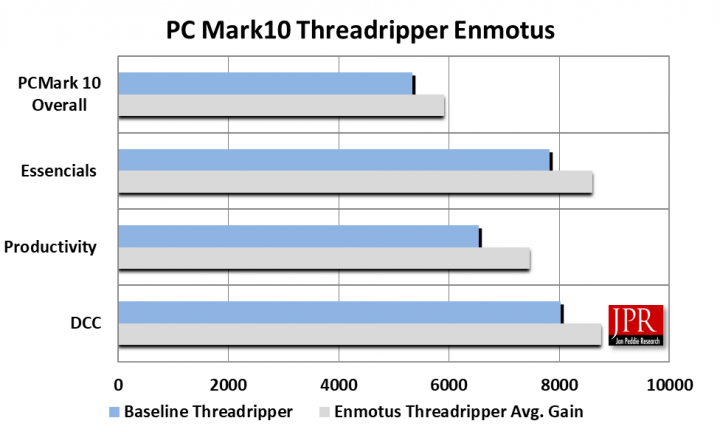 We ran two benchmarks: PC Mark 10 and PassMark, with and without the Enmotus magic FuzeDrive software. The results speak for themselves—Enmotus’ FuzeDrive makes a PC faster. 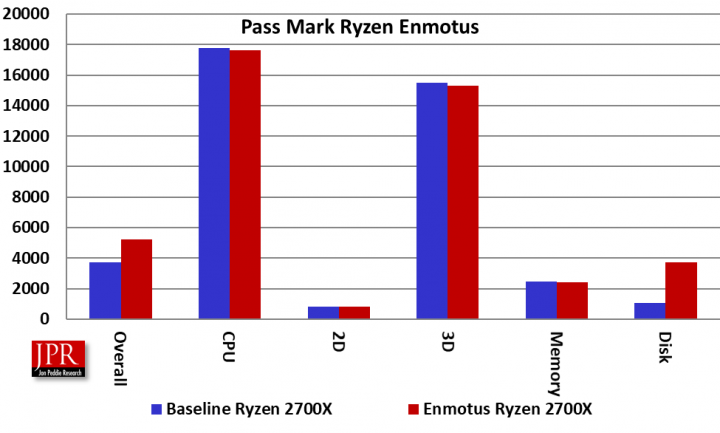 The results were different on the new Ryzen, but still very favorable for Enmotus. The processors and system configurations are shown in the following table. The disk sizes are not exactly the same, and one would think if the SSD was larger the results would be better. In the case of PassMark 10 that proved to be true, but not in PC Mark 10. The average of all the tests came out to a ridiculous 246% which was heavily influenced (but not weighted) by the disk test in PassMark. Enmotus charges from $20 to $60 for their software. FuzeDrive combines fast and slow storage drives into a single C: drive. As you use it, it learns how you use your computer and adapts automatically to make sure performance is optimized. It automatically moves frequently used data to the fast SSD tier and less frequently used data to the capacity tier. Your applications are served up from your fast storage media resulting in fast boot times, accelerated game loading and applications. Dynamic data movement means you no longer have to manually manage what drive to store your data on. You can create virtual SSDs—vSSD—from 1TB to 10TB in size with SSD performance, so it gives you the effect of SSD performance and capacity. I can tell you the difference in game play can be felt. The games load faster, but more importantly, maps load faster. One of the most annoying things in big games is being taken out of the game while you wait for a map or video cut to load. 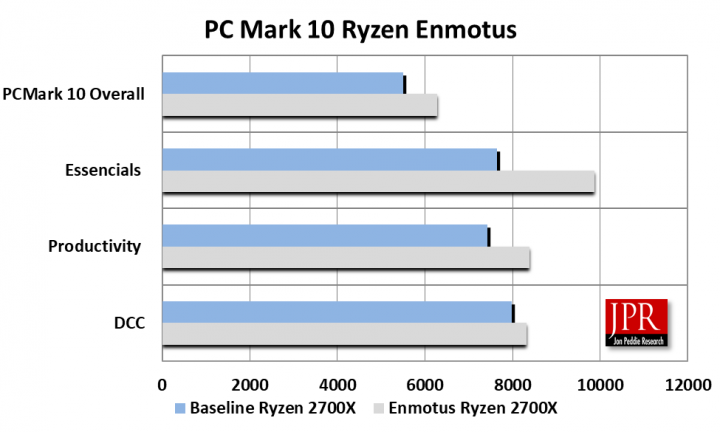 Enmotus is only offering their software for AMD Ryzen-based system as of now. During our beta testing we learned that the software will not work with older systems due to the BIOS. And, as mentioned in our pervious write up, the software is tricky to install. However, if you’re comfortable swapping out a GPU driver, or installing software tools, you can probably handle FuzeDrive. Just make sure you backup your drives before you start, and that you know where all your licenses are. Also, most new computers already have an SSD in them, so you probably don’t have to buy any hardware. However, be warned—it’s addictive. After we got it running, we then replaced all the 128 GBand 256 GB SATA SSDs with 512 GB NVMe drives. In two years, as the OEMs build this into their systems, we’ll not only take it for granted as we do high-speed PCI, DisplayLink, or Freesync, we’ll wonder how we ever got along without it—it’s like going back to a rotary phone.